I have some picture look like a line of graph, but it has only one-pixel line width (for an example in attach file) and it can't be seen when I put it in presentation slide. So I want to make line thicker, like 3-5 pixel width. How can I do this? A few ways to this: One way for your type of image. 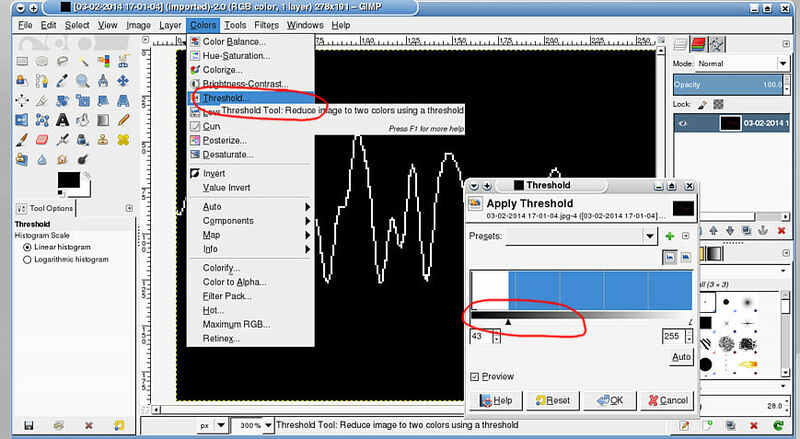 Colors -> threshold, adjust value to give a sharp trace. Filters -> Generic -> dilate, since the trace is a single pixel, this will bump it up to 3 pixel, a second application would give 5 pix. If you want the new trace as magenta. 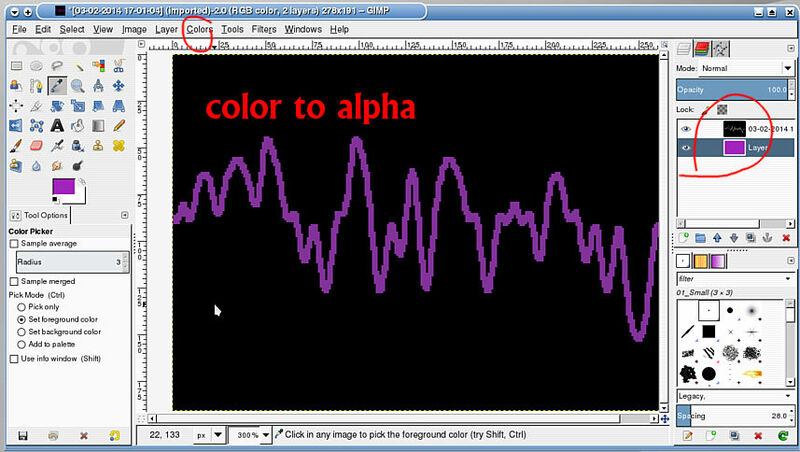 Colors -> color to alpha, the default setting is white. Pop a magenta layer under. 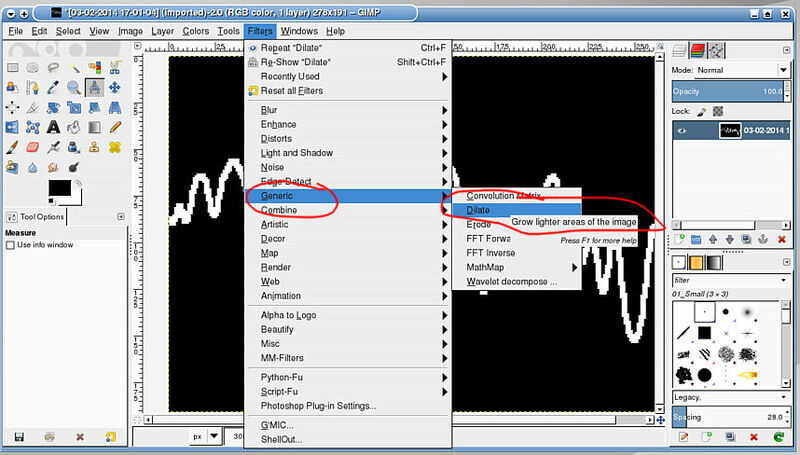 Save as an xcf or export as jpg, or png. Thank you very much, sir. Look easier than I thought.